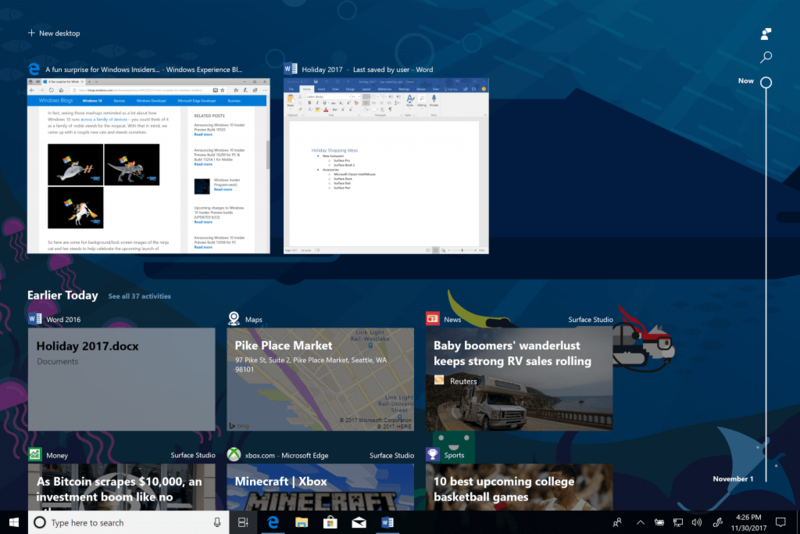 Microsoft’s journey of collecting feedback from users to help shape the look and feel of its Windows operating system continues. 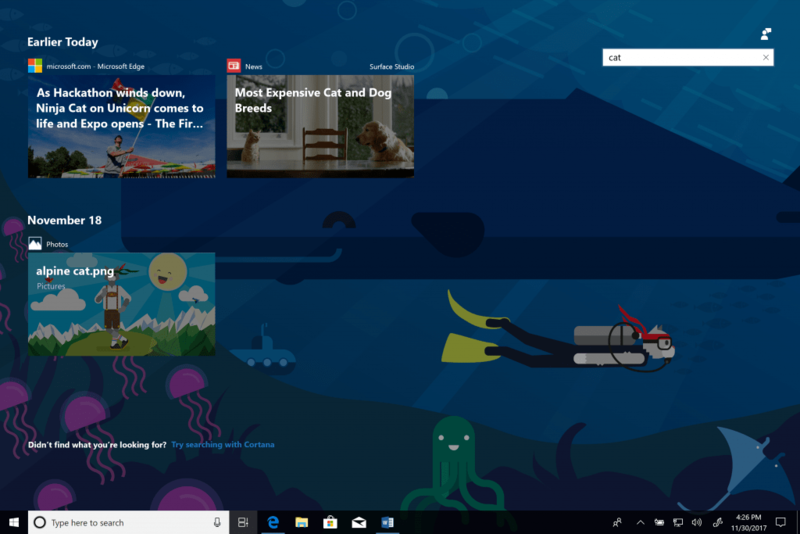 The latest preview builds released to windows insiders introduce some new features mentioned earlier by CVP Terry Meyerson. We look at some of these Windows 10 Insider Preview Features. Timeline allows a user to quickly resume activities started in the past. It gets you right back to where you left off even if you’ve closed the app or file. The Timeline feature works in the Task View allowing users to quickly scroll back to content they had earlier opened. The default view of Timeline shows snapshots of the most relevant activities from earlier in the day or a specific past date. A new annotated scrollbar makes it easy to get back to past activities. Browse all your activities from a single day or search for those activities you don’t see in the timeline default view. Also If you have more than one PC or account, you can use Timeline on all of them. You’ll see the same activities no matter which PC you’re using. 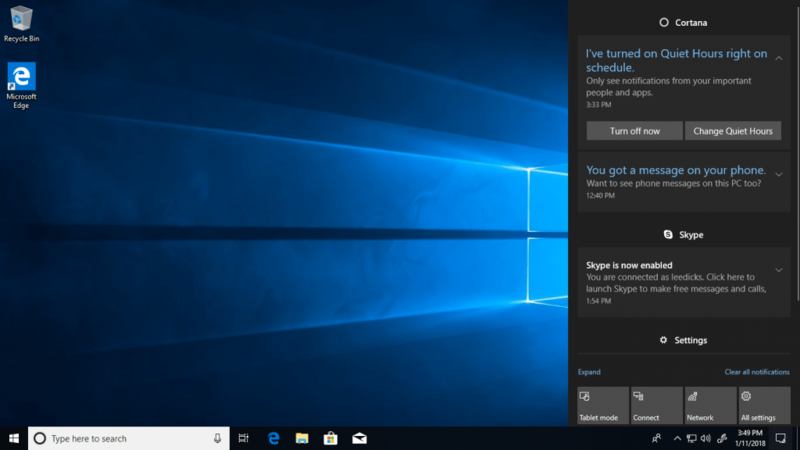 And if an activity from one PC used a modern app that you don’t have installed on another PC, Windows will help you install that app. Read more about the feature. Microsoft introduces “Sets” as an easier way to organize your stuffs and get back to what you were doing. Not exactly like Timeline. “Many of the most important things we do happen across apps, web sites and PCs — whether that’s writing a report for school, planning a trip, managing a complex project at work — or even flipping back and forth between playing a game and watching a game. In today’s evolving modern workplace, we work on sets of things in fits and starts, often in between other commitments. We spend time setting things up just the way we want them for a project, with all our files, websites, notes and apps at hand —only to be pulled away at the last minute by a call, a meeting or some other interruption that seem to happen throughout our busy days. And, that’s the moment we’re focusing on, that moment when you have everything ready to be worked on but are pulled away. We believe there’s an easier way to organize your stuff and get back to what you were doing. Helping you stay focused and interrupted so you can be more productive. With Quiet Hours will be able to choose the times when you don’t want to be bothered with Quiet Hours automatic rules. This is just like the quiet hours feature from Windows 10 Mobile. Allows a Windows 10 PC user to wirelessly share files and URLs to a nearby PCs. If you play it safe and aren’t in the Windows Insiders Program (WIP) no need to worry. These Insider Preview features will pop up in a major feature update. But if you want to give these and try now, then head over and register to be an insider. What do you think about the latest features, share with us in the forums or comments.